While most folks are breathing a sigh of relief at the better-late-than-never decision of SCOTUS regarding marriage equality, the reaction of some reminds me with the force of a punch in the gut of what it really means to be fundamentalist christian. I am reminded why I fled so many years ago, to escape the suffocating judgement and infuriating self-righteousness. It is impossible for me to comprehend the mental gymnastics required to put oneself in a position of authority over other humans simply because one has swallowed a “belief” about who they are. There is a lot of talk about god’s wrath and judgement day, akin to a mother telling a misbehaving child “just wait until your father gets home.” Covert fundamentalists aren’t much better, with their judgement–lite attitude of love the sinner, hate the sin. 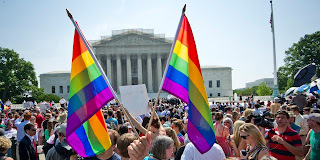 It is still a position of false superiority; willful ignorance of what it means to be gay. If you are not gay, you do not understand and have no right to impose your conjured criteria on anyone. When belief and dogma come before the rights and well-being of actual people, there is no love involved. Judgement and love, like oil and water, cannot exist in the same space. Remember the story of Ruby Bridges, the little girl that federal marshals escorted into her newly integrated elementary school in New Orleans? The furious, slathering white horde screamed at her as she walked their gauntlet. Fundamentalists are the new face of that hateful crowd. They are threatened and angry and they have lost this fight just like the racists lost that one. 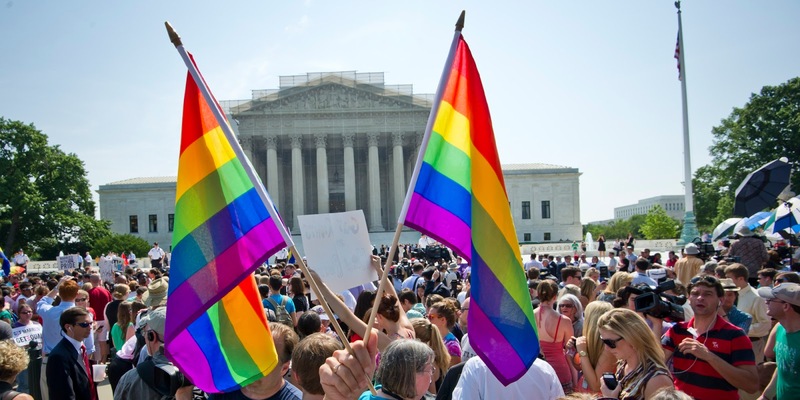 There is no judgement day coming for gay people. It already came and they are free.